No matter how large or small your company is, security should be a top priority. While you might not be managing hundreds of thousands of user’s credit card numbers, it is important to protect what data you do manage. 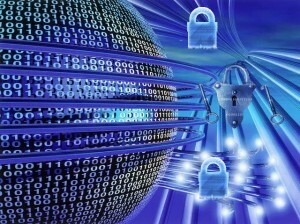 When you run a website or a blog system, there are various security roles you need to configure. Administrator – This user role has complete access to the entire system. Admins can do anything within WordPress including adding, deleting and changing all user accounts, blog posts, comments, links and pages. This is usually the blog owner and should only be access by use or someone you trust. Editor – Editors have complete control over all content such as links, categories, comments, posts and pages but they have no configuration access for the blog system nor can they create or delete user accounts. This role would usually go to someone who’s just there to moderate your blog. Author – Authors can write and publish posts without review from an Editor, but can only edit the posts they’ve created. They can also only manage the comments left on their posts. This role is designed for users which need to publish blog posts, but do not need to manage content they didn’t create. Contributor – Contributors are similar to authors except they cannot publish any posts. They can only submit posts for review by either an Editor or an Administrator. If you would like people to be able to submit their own writings to your site, give them this access. Subscriber – Visitors to your site can register (provided you allow them to) on your site and this account role will give them access to leave comments on any posts and modify their own user profile. Subscribers have no other access to the blog. There is an option in WordPress to force users to register to leave comments. You should become familiar with each of these roles and what permissions they give to each user. You don’t want to be surprised later to discover that one of your users has more access than they need. If you’re the only person running your business/website, you will not see any benefit in creating various security roles. However, it’s important to understand your backend system and what types of controls you have over it because in the future, you may expand and require the help of others to maintain everything. More often than not, you find in businesses where users are sharing their usernames and password to various systems to gain more access when they need it. This is very dangerous because all it takes is one person who knows what they can do with that access and your entire company can come down in one fell swoop. Just like you lock your doors at night, never take for granted the security of your website and system software. It could mean the difference between a secured business and no business. Making a website can be a tedious project that incorporates many different facets of design and implementation. It may require that you learn the different web software and programming languages outlined previously. There are also just as many books on the subject as there are websites online. This is why web design firms charge so much money to build a website. However, it doesn’t have to be expensive to start (or re-design) your website. You can now use a “cookie-cutter” backend structure to manage and maintain your content. 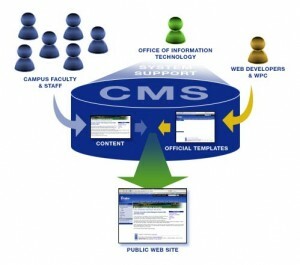 Welcome to the world of CMS–or more specifically in this case, webCMS. Simply put, it’s a set of tools and/or software that is used to organize content for projects, presentations and reports while allowing multiple people to have access to these tools, add their own ideas, content and essentially just collaborate. For a website, think of it as a container or base structure for the content of your site. It’s wrapped with a theme of some sort and it allows you to focus on your content rather than your design. There are a few types of systems you can get, but the most common is blogging software. A lot of people don’t consider a blog system part of the CMS group of software, but I do. The reason for this is because to me, it manages content–and pretty well I might add. Templates – The base structure to your site is accomplished through the use of templates. These files (XML or HTML) are stored in a central location and they apply design traits to all content pages on your site. This allows you to edit or change your “theme” instantly and across all pages at once. Editable Content – Because the content is not being stored in the design templates, it is easily edited using built-in content editors known as WYSIWYG editors. They contain basic formatting tools to make your content look nice and stand out. Scalable Features – Most CMS software packages are compatible with plugins that add or enhance features of the system to allow your site to grow as needed. These plugins are often designed by the user community and are usually free. Standards Upgrades – To keep up with web standards, popular CMS software programs are consistently updated and supported. Workflow – If there are multiple contributors on one site, content can be written, but not published until it’s been reviewed by the appropriate person. User Delegation – Users in the system can be delegated to specific roles that pertain to the various sections of the site. These users have only the access they need to get their work done. Document Management – As content and documents change, the entire revision history is available at all times to ensure that any changes are properly recorded and can even be restored back if needed. 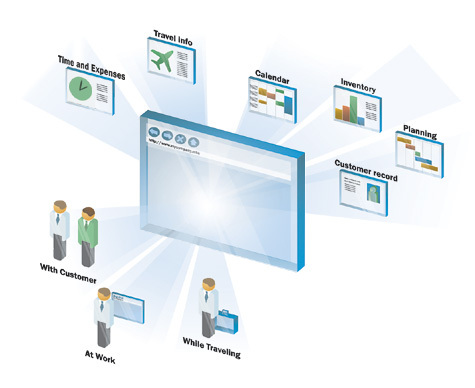 Virtualization – Some CMS software programs have options that allow users to work in a virtualized environment so they can edit and create pages and see how they will look online before actually publishing them online. 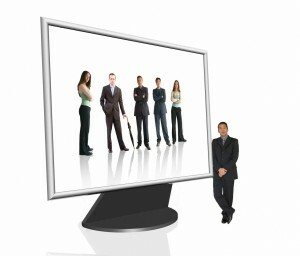 Syndication – All CMS programs offer the ability to syndicate your content. This is done through channels like RSS, email subscriptions or Atom data feeds. If you have ever seen a website hosted or designed on WordPress, you’ve seen a blog. Essentially, you install a small out of software (a few PHP files and folders) on your webserver, follow a simple install process and start blogging. It’s really that easy and that’s exactly why it was created. You can use a blog for any type of web content, so don’t think that just because you installed a blog that you have to post things everyday or talk about your personal life! You’ll find blogs that sell products, offer downloads or just have nothing but galleries of pictures. Web hosting plan – Your web hosting plan needs to offer you the ability to have at least one SQL database and the ability to run PHP. Check out GoDaddy or MediaTemple for great pricing and service. WordPress software – WordPress is free and can be downloaded from wordpress.org. 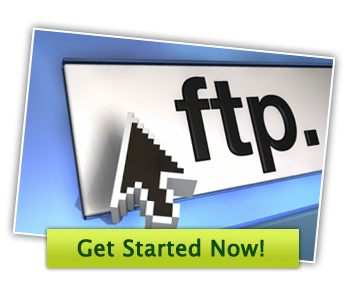 FTP client – You need to be able to upload your WordPress files to your server. Using an FTP client for this will make life much easier. You can get away without one, but you’ll need to learn how to use your online file manager. Website theme – Unless you want to spend your time making your own design, I’d suggest you look into getting a theme or two to spice up your website’s look. I’ve gotten themes from both Woothemes.com and TemplateMonster.com (search only for WordPress themes). Content – This is where your creativity comes in! Write your own stuff about things you care about. Make it original and make it interesting. Java is a programming language that was born out of frustration over the complexity and size of C++ programs. It’s commonly used throughout the Internet as well as mobile devices. It is much simpler than C++ and it uses an object-oriented programming model. Java is used to create web applications called applets that can be used in a variety of ways to add functionality to a website. These applets are what make it possible for users to directly interact with a web page. You most likely have been running some sort of Java software for the last 10+ years and didn’t even know it! When creating a website, you can add many different types of functionality to help users use your site easier. 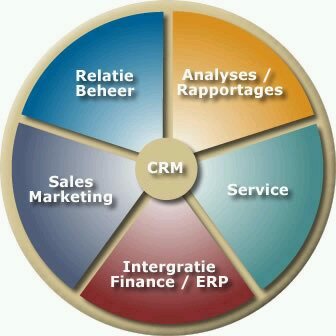 These features can be things such as stylized menus, data forms, counters, clocks, etc. Check out HotScripts.com for a sampling of the things you can do with Java. You can develop portable programs in a network by compiling them into “bytecode”. This bytecode can be run on any client computer that runs the Java Virtual Machine (JVM). JVM interprets the bytecode into code that the computer understands. Most computer software is designed for specific operating systems, whereas Java software is executed on the fly by the virtual machine. This enabled Sun Microsystems to create the various OS versions of Java Virtual Machine, but only one Java app. Java software is written so that it cannot pull references and objects from external data sources. Essentially, all of its instructions are contained within the Java code. This ensures that the Java Virtual Machine does not crash. Every object is inspected by JVM to be of the highest quality to maintain a functional environment. All of this makes Java a very robust programming language. Because Java is object-oriented, it allows an object to be part of a group (or class) or other objects, which can then inherit any code that’s part of that class. A way to describe this would be to compare it to Microsoft Active Directory, where you can have a group of users that all have individual permissions, but they also all inherit the permissions of the whole group. Java runs very fast because it’s ran locally from the client’s computer rather than from a server. 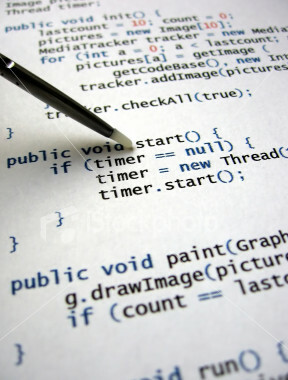 Compared to C++, Java is a much easier programming language to learn. on websites. Mobile devices and smartphones all utilize Java as well. On cell phones, Java is more commonly used to support game play.